Crossman & Company Negotiates Long-Term Retail Lease at Banks Crossing in Fayetteville, Ga.
Fayetteville, Ga. – Crossman & Company, one of the largest retail leasing, management and investment sales firms in the Southeast, recently negotiated a seven-year lease agreement for 7,000 square feet at Banks Crossing shopping center located at Highway 441 S. and Interstate 85 North in Fayetteville. The new tenant, Sears Authorized Hometown Store will open in mid to late January serving Fayette County and the Atlanta south metro area. Sherri Mann, Senior Associate at Crossman & Company, negotiated the transaction representing the landlord, Nighteingale Realty, LLC based in New York City. 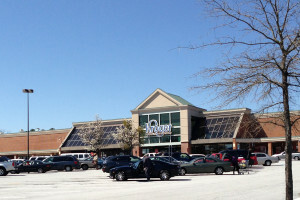 In addition to a broad assortment of Appliances and Lawn & Garden products, the Banks Crossing location of the Sears Hometown Store will also offer Sears Nationwide Service including parts, delivery and installation as well as a pick-up facility for products sold at Sears.com, according to store manager T.J. Rayford. The 256,671 square foot shopping center is anchored by J.C. Penney and Kroger. Other existing tenants include Planet Fitness, Sally Beauty Supply and Cricket Wireless. Sears Hometown and Outlet Stores, Inc. (NASDAQ: SHOS) is a national retailer primarily focused on selling home appliances, hardware, tools and lawn and garden equipment. As of May 3, 2014, Sears Hometown and Outlet Stores, Inc. and its dealers and franchisees operated 1,250 stores across all 50 states and Puerto Rico and Bermuda. In addition to merchandise, Sears Hometown and Outlet Stores, Inc. provides customers with access to a full suite of services, including home delivery and handling and extended service contracts. Sears Hometown and Outlet Stores, Inc. operates through two segments—the Sears Hometown and Hardware segment and the Sears Outlet segment. The Sears Hometown and Hardware Segment stores are designed to provide customers with in-store and online access to a wide selection of national brands of home appliances, tools, lawn and garden equipment, sporting goods, and household goods, depending on the particular store. The Sears Outlet stores are designed to provide customers with in-store and online access to purchase new, one-of-a-kind, out-of-carton, discontinued, obsolete, used, reconditioned, overstocked and scratched and dented products, collectively, “outlet-value products,” across a broad assortment of merchandise categories, including home appliances, lawn and garden equipment, apparel, mattresses, sporting goods and tools, and at prices that are significantly lower than manufacturers’ suggested retail prices. Ruskin, Fla. — Crossman & Company, one of the largest retail leasing, investment sales and management firms in the Southeast, negotiated a long-term lease with national salon chain Great Clips at Southshore Village in Ruskin, Fla.
Sandra Woodworth, Senior Associate at Crossman & Company, negotiated the transaction on behalf of the landlord, Lakeland-based Publix Super Markets, Inc.
Great Clips, based in Minneapolis, leased a new 1,200 square foot bay bringing occupancy at the 56,831 square foot center to 95.80 percent. Brian Bern of Franklin Street Real Estate Services represented the tenant. 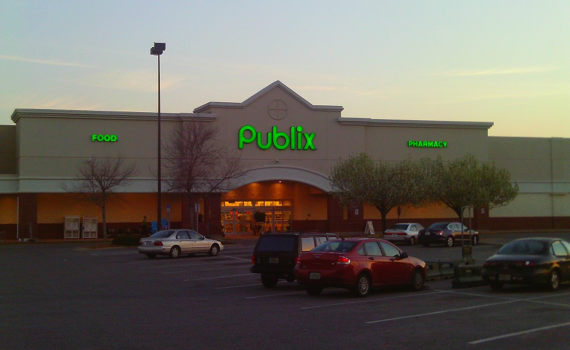 Publix plans to break ground soon on its 46,000 square foot anchor store that is slated to open in December 2016. Two bays remain with deals pending and two outparcels are available for ground lease only, according to Woodworth. TALLAHASSEE, Fla. – Hoping to inspire the next generation of real estate executives, Orlando businessman John Crossman has established the Crossman & Company Endowed Real Estate Scholarship at FAMU. A member of the FAMU Foundation Board of Directors, Crossman personally donated $25,000 to establish the scholarship and solicited other supporters to raise over $150,000 in additional donations. The scholarship will benefit FAMU law and business students with interest in commercial real estate. Sharing his late father’s passion for inclusiveness, higher education, and mentoring college students, Crossman hopes to provide exposure and opportunities for diverse students to pursue careers in commercial real estate. He helped to establish student real estate clubs at both FAMU and Bethune-Cookman University in hopes of creating an official outlet for real estate programs at both universities. Crossman is an executive board member for the University of Florida Bergstrom Center for Real Estate, Florida State University Center for Real Estate Education and Trustee for Valencia College. He is also a five-time appointee to U.S. Senator Marco Rubio’s Service Academy Nomination Board. Professionally, John and his brother Scott Crossman have established one of the region’s most successful commercial real estate firms in the Southeastern U.S.
On Wednesday, November 18, 2015, Crossman will continue his efforts to generate additional funding for FAMU students by hosting a welcome and fundraising reception at the University Club of Orlando. To make a tax-deductible donation to the Crossman & Company Endowed Real Estate Scholarship, please visit www.famu.edu/crossman. Founded in 1990, Crossman & Company is one of the largest retail leasing, management and investment sales firms focused on serving landlords throughout the Southeast. With offices in Atlanta, Boca Raton, Orlando and Tampa, Crossman & Company represents more than 307 shopping centers in Alabama, Florida, Georgia, North Carolina, South Carolina and Tennessee with over 22 million square feet under leasing and/or management. For more information, please visit www.crossmanco.com. Florida Agricultural and Mechanical University is one of the largest single-campus historically Black colleges or universities in the nation. The University blends a strong research focus on economic empowerment and community service. The University was founded in 1887 as the State Normal School for Colored Students, Today, FAMU continues its mission to be a best-in-class, land-grant University with a global reach that focuses on science, technology, research, engineering, agriculture, and mathematics (STREAM). FAMU contributes to a strong workforce by providing a high-quality, affordable education to students from diverse backgrounds. The U.S. News & World Report lists FAMU as the nation’s top public historically Black college or university (HBCU) for 2015. FAMU was recognized in 2014 by the U.S. News & World Report as among the “Best National Universities.” It is listed among The Princeton Review’s “Best in the Southeast” colleges, as well. FAMU is also one of the top universities for providing a high-quality education at an affordable price in Florida, according to The College Database (2013). For more information about FAMU, visit http://www.famu.edu. ORLANDO, Fla. – John Crossman, president of Crossman & Company and son of the late Rev. Kenneth C. Crossman, is continuing his family’s legacy of giving and educational philanthropy with a new endowed scholarship for students at Bethune-Cookman University. The renewable scholarship will be an annual award for qualified students entering the B-CU real estate program or business with real estate concentration. Crossman’s overall goal is to maintain a $100,000 balance for the Crossman & Company Endowed Real Estate Scholarship. Crossman has already started his search for donors and contributors, and is actively seeking community partners to help him reach his goal and start their own B-CU endowment scholarship. “There is a genuine need for African-American students who seek a career in commercial and residential real estate and we want to help achieve that,” Crossman said. Crossman is no stranger to the B-CU campus or giving back in the name of education; and he is eager to continue his journey. He and his family launched an endowment fund in 2004 in memory of Reverend Kenneth C. Crossman and donors have contributed more than $132,000 over the years. The Rev. Kenneth C. Crossman Endowment Fund gives renewable, annual contracts and has helped many students. “John Crossman is an outstanding Florida leader. His passion for real estate, and for supporting the study of real estate in our universities, is remarkable. The students of Bethune-Cookman are blessed to have an advocate and patron like John Crossman,” says Senator George LeMieux. John Crossman is dedicated to diversity and committed to mentoring students who have a passion for real estate. He works with students at universities throughout the United States. Professionally, John and his brother Scott Crossman have established one of the region’s most successful commercial real estate firms in the Southeastern U.S.
Crossman is heavily involved in several industry organizations and serves as a board member for the University of Florida’s Bergstrom Center for Real Estate, Florida State University’s Center for Real Estate Education and Trustee for Valencia College. He is also a five-time appointee to U.S. Senator Marco Rubio’s Service Academy Nomination Board. If you desire to support the Crossman & Company Endowed Real Estate Scholarship, please visit https://collegeadvancement.cookman.edu/sslpage.aspx?pid=178. ORLANDO — Crossman & Company, one of the largest retail leasing, management and investment sales firms in the Southeast, is happy to welcome Christie Alexander as Director of Brokerage Services. John Crossman, President of Crossman & Company, said Alexander’s commercial real estate career spans more than 20 years and includes sales and leasing of retail, office, land and industrial properties. Crossman said Alexander also has an extensive background in market analysis, feasibility studies and due diligence on all property types. Most recently, while a principal at NAI Realvest, Alexander teamed with the chairman to provide brokerage and advisory services. Alexander has closed transactions that have exceeded half a billion dollars, and served clients such as Shell Oil, Ruth’s Chris Steak House, TLC Engineering, MAS Companies and Atlantic Housing Foundation. Her professional affiliations include NAIOP and International Council of Shopping Centers (ICSC). She has received awards and recognition from Central Florida Commercial Association of Realtors (CFCAR); Top Women in Florida Commercial Real Estate, Florida Real Estate Journal 2007 and NAI Gold Club. She holds a BS in Economics from Arizona State University, where she was a member of Omicron Delta Epsilon (Honor Society in Economics). Orlando / Pensacola – Crossman & Company, one of the largest retail leasing, management and investment sales firms in the Southeast, recently completed the sale of Shoppes at Milestone, a neighborhood retail center at 2160 W. Nine Mile Rd. in Pensacola, Florida. Bruce Lyons, Crossman & Company’s Senior Managing Director and Brian Carolan, Director of Investment Sales, negotiated the transaction representing the seller. The buyer, Westwood Financial Corp. of Los Angeles, paid $3,675,000 for the center, which was 100 percent leased at the time of sale. Shoppes at Milestone was built in 1996 and updated in 2000 and is shadow-anchored by Publix Super Markets, Inc. Major tenants include Jersey Mike’s, Hot Heads Burritos, H&R Block, Cricket Wireless, Papa Murphy’s and Enterprise Rent-a-Car. 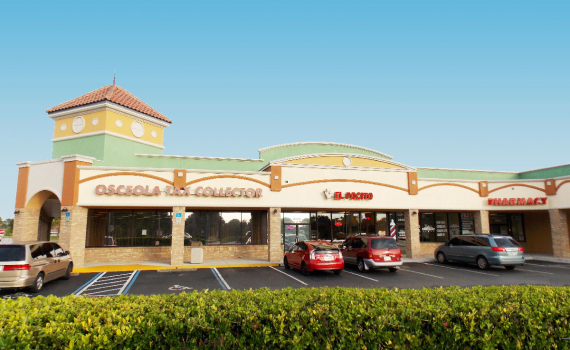 ORLANDO — Crossman & Company, one of the largest retail leasing, management and investment sales firms in the Southeast, recently negotiated the sale of a rare free-standing Tijuana Flats restaurant at 9914 Semoran Blvd. in Casselberry, Florida. Brian Carolan, Director of Investment Sales and Bruce Lyons, Senior Managing Director at Crossman & Company represented the seller, Greater Properties, Inc., during the negotiation of the transaction. 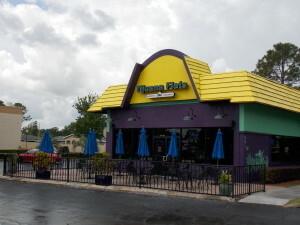 The 3,068 square foot building, situated on a 1.15 acre site, is one of the few free-standing Tijuana Flats locations in Florida. 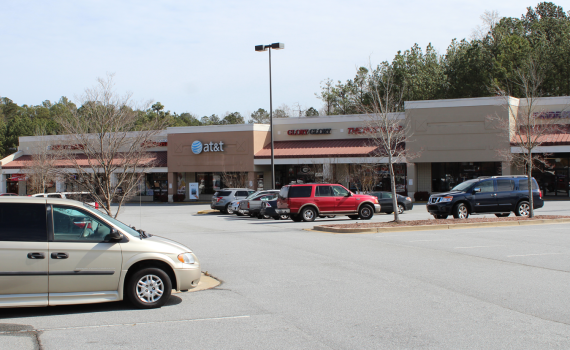 Gary Turner of Turner Net Lease Properties represented the buyer in the transaction.